by Ministry of Housing and Urban Affairs, at Vigyan Bhawan. 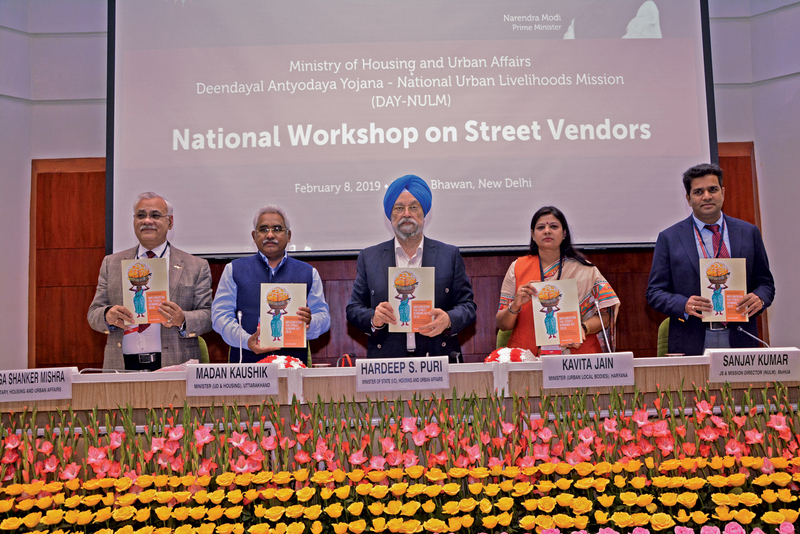 New Delhi, 8 February 2019: Centre for Civil Society (CCS) today launched its Progress Report on Implementing the Street Vendors Act 2014 at the National Workshop on Street Vendors, convened by the Ministry of Housing and Urban Affairs (MoHUA). 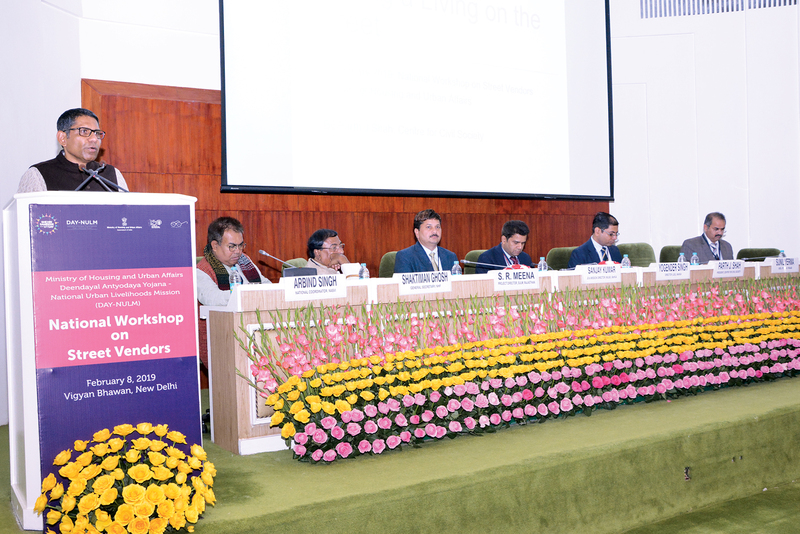 The Minister of Housing and Urban Affairs, Shri Hardeep S. Puri, addressed the gathering and welcomed over 70 representatives from the Ministry and different states across the country. The National Urban Livelihoods Mission supported CCS in gathering and analysing data on progress made by states in complying with the Act. For over two decades, CCS has advanced economic and property rights of informal workers who are often at risk of abuse from authorities. This report looks at the most visible form of informal employment in Indian cities: street vendors. Dr Parth J Shah, President, CCS informed the audience of the implementation status of the Act in 28 states and 2 UTs. Using the key learnings from the Progress Report, he highlighted that “we see the vendors, but we don’t see them” and urged the Mission to incorporate the 11 parameters of the Compliance Index to track states, through their Management Information System. In Delhi, the government has constituted 27 committees to regulate street vendors under the Act. For the one TVC under NDMC we analysed, 9,000 vendors were on the voter roll and only 600 were allowed to cast votes to elect their representatives to the committee. In Gurugram, the municipal corporation has constituted one TVC. However, this committee falls 28% short of the mandate set in the Act on elected vendor representation. The actual presence of vendor members in committee meetings was even lower. In the absence of sufficient representation, vendors were relocated and overpowered in a case of conflict of interests. The survival of the novel idea of representative TVCs depends on how the mechanisms function to include vendors in decision making. What are the checks and balances to ensure that laws made by any in the administrative hierarchy do not violate the letter and intent of the Act? From whom are public spaces being safeguarded, and who is safeguarded? The Report (https://ccs.in/livelihood/research) finds that while all stakeholders are taking small steps to build the institutional mechanisms to manage urban spaces, there is still a long way to go for effective channels that accord vendors legitimacy and protection.